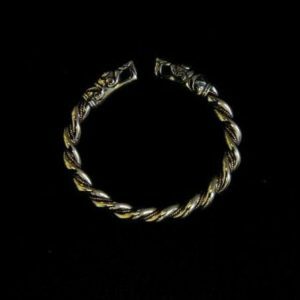 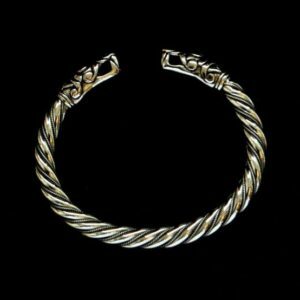 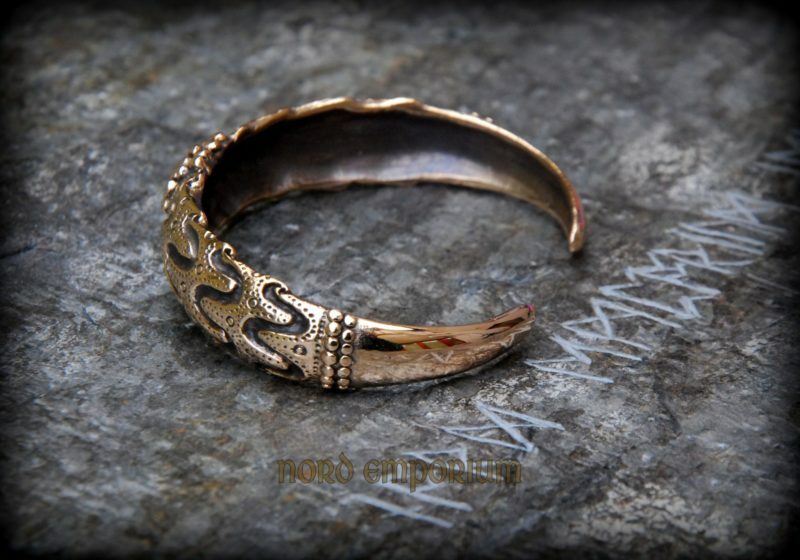 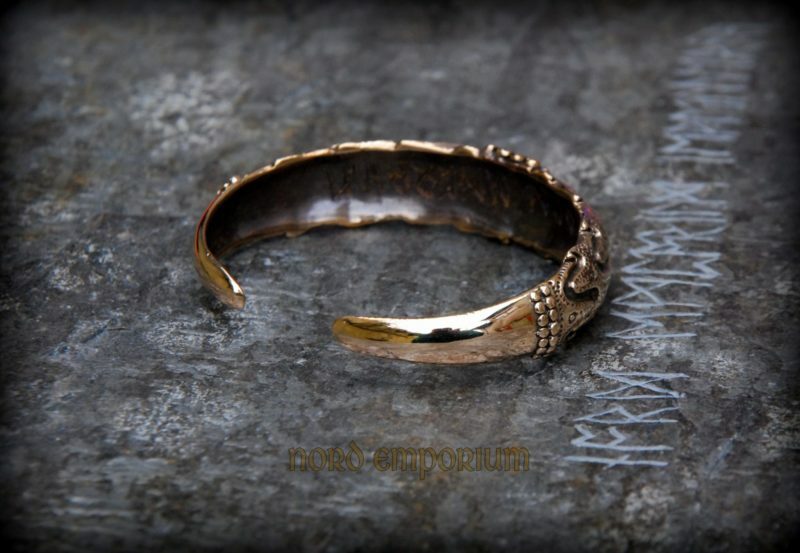 The Famous Silver Vikings’ Bracelet from Falster, Denmark, finished. 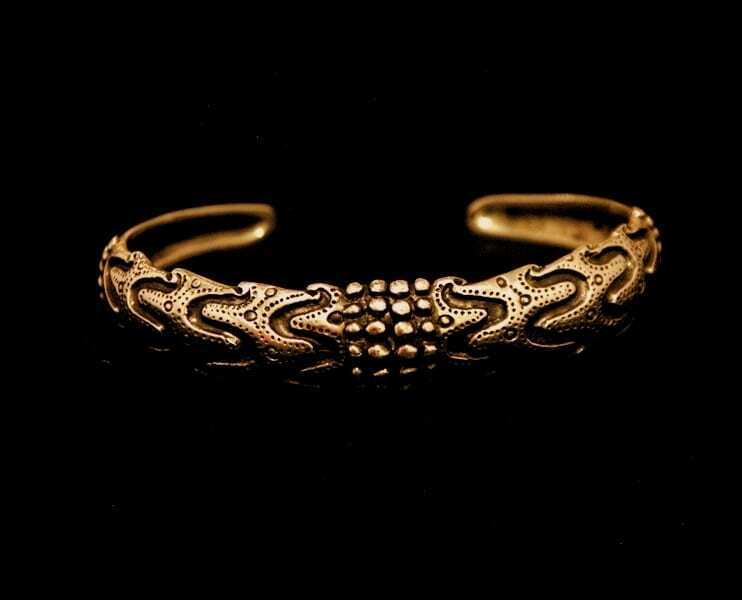 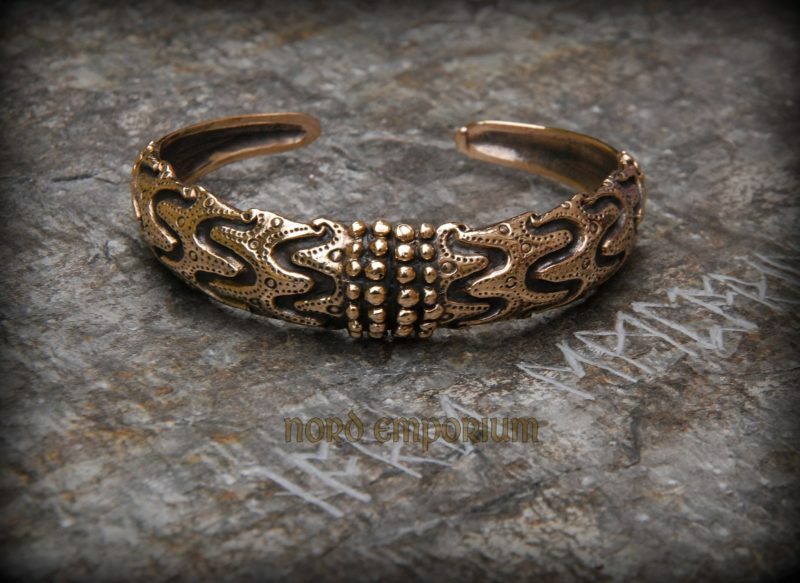 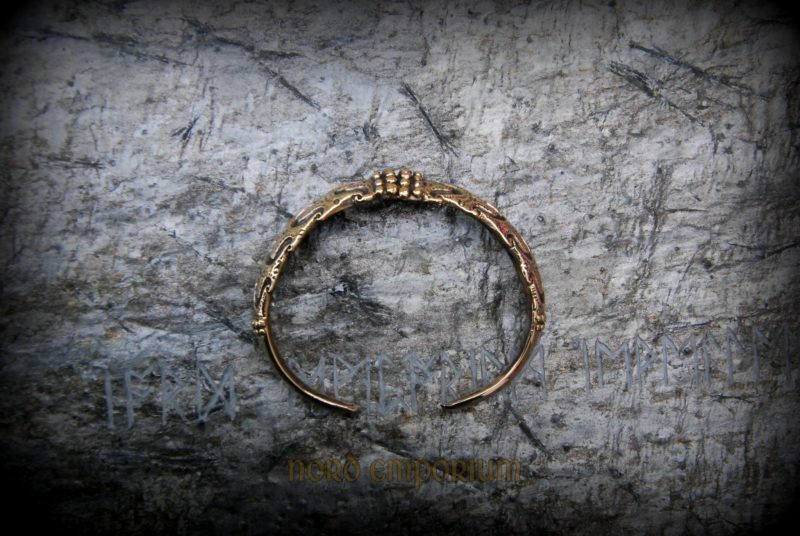 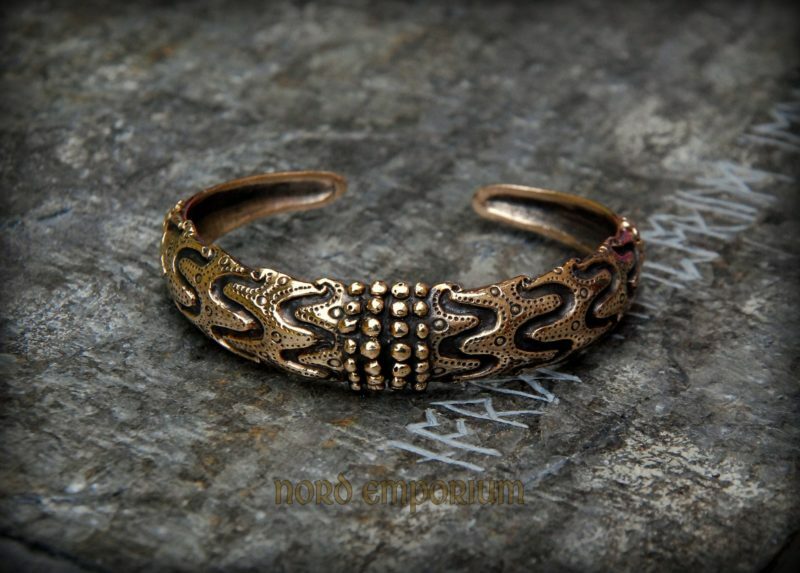 Original bracelet is located in the National Museum’s 10th century collection in Copenhagen. 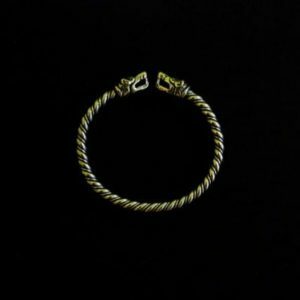 Bracelet is adjustable to wrist size and is subtler than an original. 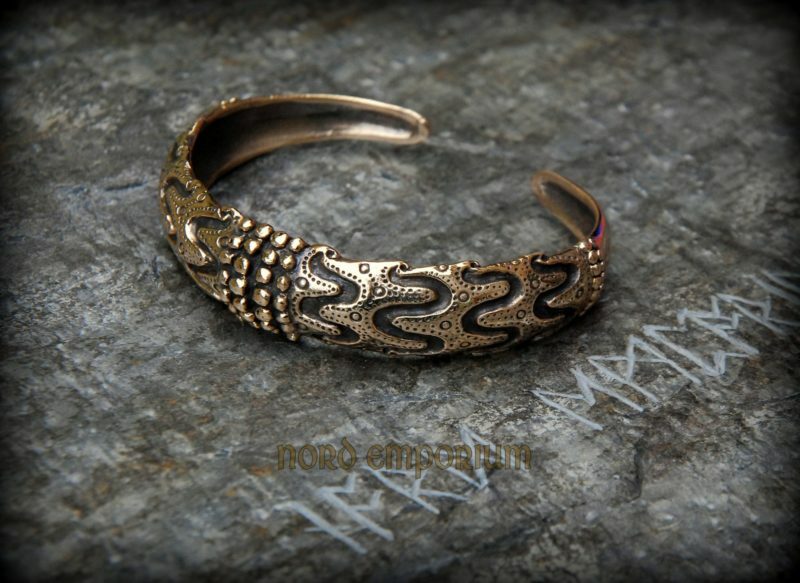 The bracelet is flexible and can be adjusted to your wrist. 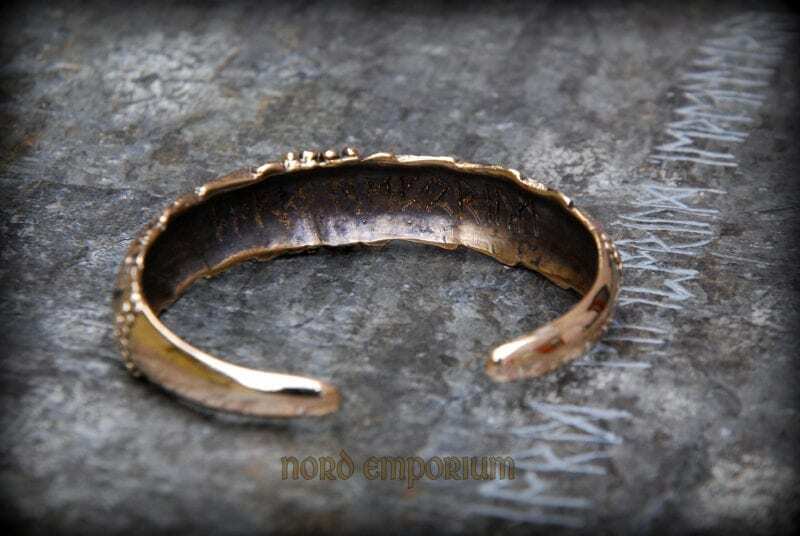 It is safe because the bronze has been subjected to heat treatment and it is not too fragile.